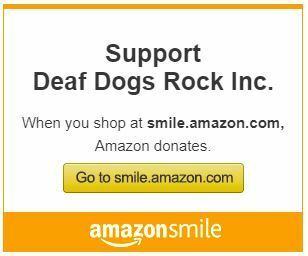 So far Deaf Dogs Rock has created 63 blog entries. The Huffington Post, January 2015It Took Some Amazing Humans to Save These Dogs.. It Took Some Amazing Humans to Save These Dogs..
Examiner.com, January 2015Deaf dogs and cats make great pets. Deaf dogs and cats make great pets. Animal Radio, November 2014Interview starts at 30:00 minute mark. Interview starts at 30:00 minute mark. The Salem Times, July 2013Deaf dog Nitro, owners, nationally recognized. Deaf dog Nitro, owners, nationally recognized.